Words cannot adequately express how shocked and sad I was when I read the news about the murderous attack on Charlie Hebdo. I still can’t believe that Wolinski, whose irreverent strips graced the pages of the favourite comic magazines of my student years, lies dead together with 11 other people. Simply because he unwittingly became a sacrificed pawn in a dirty geopolitical game. Make no mistake. Apart from the human tragedy caused by the senseless loss of life and talent, this attack is every bit as ripe for political exploitation as the attacks of 9/11 and the Boston marathon were. This time, however, the attack took place outside the US, thus presenting a golden opportunity or the US government to bring the stray sheep among its European allies back into the fold. With the spreading threat of Muslim terror strikes, it is easy to forget that the NSA spied on the leadership of the “trusted” US allies (and probably still does so). Let us focus on the event of the attack for now. The show of support, both in France and abroad, was heartwarming, even if some were not entirely honest when expressing it. For example, the Greek Prime Minister, Antonis Samaras and his extreme right wing sidekick, Adonis Georgiadis during recent speeches mentioned the need to enforce our borders with walls in order to stop Syrian refugees (and any illegal immigrants) from entering the country. They went so far as to tie the attack with the illegal immigrant issue in Greece, claiming that their political opponents, SYRIZA, want to open the borders to potential terrorists. Never mind that the terrorist suspects were French citizens. Never mind that, if Charlie Hebdo had a Greek edition, Mr. Samaras, who claims to have an open line with God (and His support, no less) would be amongst the first to ban the sacrilegious magazine. In 21st century Greece, the owner of a Facebook page mocking an Orthodox monk (now a saint) and his alleged prophecies was recently sentenced to 10 months in prison for blasphemy. But otherwise we’re all Charlie Hebdo here, thank you. The Prime Minister is trying to woo the voters of the neo-Nazi Golden Dawn party to gain a few precious percent points in view of the upcoming elections and he is playing the immigrant issue card by fanning the fear of Islam, since the majority of illegal immigrants in Greece come from Pakistan, Syria and other Muslim countries. To these people, all Muslims are filthy barbarians. 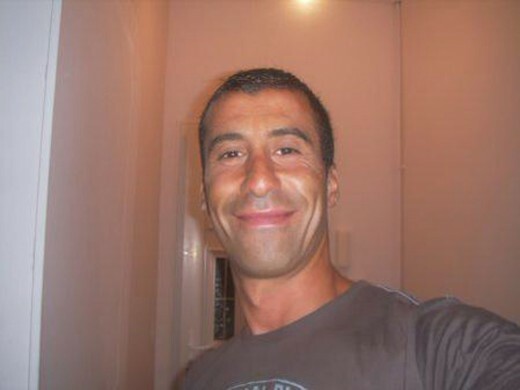 Let us talk, then, about another one of these filthy barbarians: his name was Ahmed Merabet. Ahmed was a police officer, amongst the first who responded to the call following the attack on Charlie Hebdo. That morning he had the misfortune to be patrolling the area together with a female colleague. Apparently, he somehow kept resisting the urge to force her to wear a burka and take the gun away from her. Shortly after arriving at the scene, he was shot to death by another filthy Muslim barbarian. Somehow, the terrorist did not recognize the characteristic stench, which all Muslim barbarians share. Even the brown skin did not deter him. He just casually shot the already wounded Ahmed in the head. Ahmed died defending one of the most fundamental (and challenging) democratic principles: “I do not agree with what you have to say, but I’ll defend to the death your right to say it.” It is the famous quote that Voltaire, also a resident of Paris, actually never said. Life has an uncanny way to tear down the ideological sand castles, which we build so meticulously in our own minds. It casually blows away the lines, which we consider to be carved in stone. The arbitrary borders between what is “acceptable” and what is not. That separate “right” from “wrong”. The “good” Christian from the “evil” Muslim. Even the “progressive” atheist from the “obscurantist” advocate of religion. The rhetoric of terror is already gaining momentum. The media are all hopping on the train, which is quickly running over any discordant voice. Who cares if Islamic religious organizations are condemning the attack? We all know that Islam calls on its faithful to butcher all infidels in the name of the Prophet, right? Their place in heaven is guaranteed if they sacrifice their lives fighting for Allah. One has to wonder, then, why the 1.5 billion Muslims living on this planet have not yet taken up arms against us infidels, starting World War III in the process. On the other hand, if Christians had taken the’ teachings of “love one another” and “if anyone slaps you on the right cheek, turn to them the other cheek also” to heart, then the world would be very different right now. On the contrary, once Christianity became the dominant religion in Europe, it carved a long and deep path of brutality in the name of the God of love and forgiveness, putting any Muslim Jihad to shame: Crusades, genocides, systematic enslavement of entire “pagan” populations, mass purging of “heretics” and witch hunts conducted by the Holy Inquisition, and more. All in the name of Jesus Christ. These things belong in our dark past, you might say. And yet, it was a few years ago when Sarah Palin, once nominated for Vice President of the United States, claimed that the war on Iraq was “God’s will”. And this is not just about the US throwing its weight around. Even the Greek Prime Minister seems all too willing to do the “Christian” thing and close our borders to war refugees from Syria, going as far as to deny them medical care. Mahatma Gandi once said “I like your Christ, I do not like your Christians. Your Christians are so unlike your Christ.” But this goes even beyond the tenets of our religion. Denying medical care to anyone in need goes against the very idea of humanity and breaks conventions, which apply even in time of war. Need I remind anyone that the Islamist rebels fighting against Assad’s totalitarian regime were funded and armed by western governments? Or that ISIL is a terrible monstrosity created by decades of destabilization in the Middle East courtesy of Western powers (and the USSR, back in the day)? The sole purpose behind all this has always been geopolitical interests and nothing more. Or perhaps it’s just that these people are just filthy Muslim barbarians. Like Ahmed. Or Lassana Bathily who selflessly hid a dozen people in the basement fridge of the kosher shop, where the terrorists held hostages, and escaped in order to notify the police. Perhaps it is not just Islam, but religions in general. Perhaps if we were to do away with them, everything would be right about the world. I am sorry to disappoint you, my dear atheist and agnostic friends, but this is not the case. Because people kill for money, power, religion, skin colour, ideologies, a flag, even a sports team scarf. While doing away with money would solve a great many problems in the world, we cannot ban everything. We certainly can’t simply ban religion. We need to change our perception of things instead. Theists and atheists alike. If the progressive atheist thinkers of the world claim that everyone who believes in their “imaginary friend” is a potential terrorist, they are simply attacking people for their beliefs. Just like terrorists, but without the guns. Actions count. Words count too, to a much lesser degree, and beliefs to a bare minimum. What must we do, really, to apply greater force than fanatic terrorists? How can we do it without becoming a source of terror ourselves? We might all claim to be Charlie, but what does that mean, in the end? We need to ask these questions seriously and answer them, to ourselves. In the meantime, I’d rather state my support towards a man who lost his life while doing his duty, protecting people with whom he would most likely disagree. A man whose death was marginalized, because it is hard to accept that a Muslim police officer can protect Democracy, against his supposed beliefs and the attributes which we assign him.